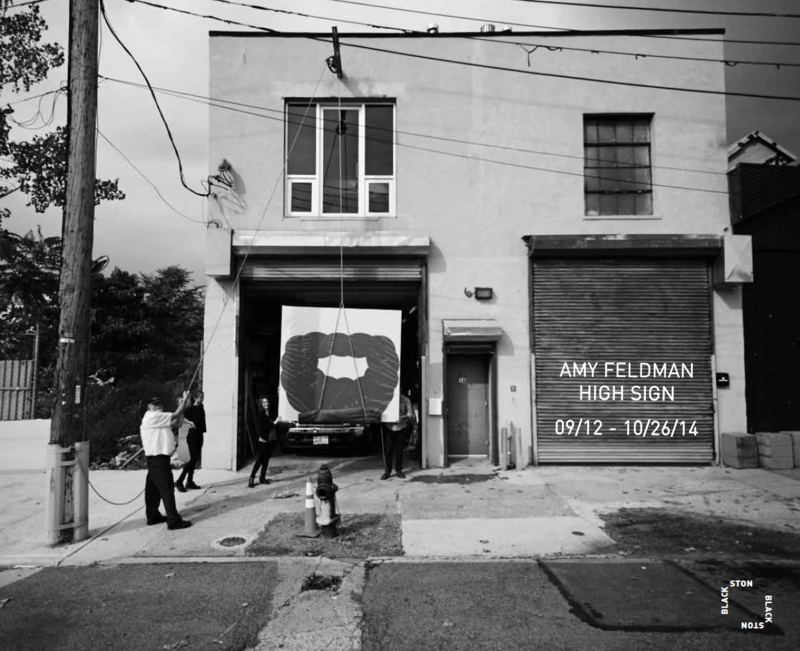 Blackston is pleased to announce High Sign, Amy Feldman’s second solo exhibition at the gallery, which runs from September 12th through October 26th, 2014. The opening reception will be on Friday, September 12th from 6 to 8 pm. artist’s interest in inexhaustible variation and difference — tackling “Killer Instinct”, a large work in the front room, by redoubling the image again and again. While Feldman’s paintings initially impress the viewer with their physicality and bold simplicity, their sophistication lingers. The play between figure/ground relationships — and their inversion — in the artist’s paintings complicates the initial read of her work. Drips, while an accidental result of her performance, feature prominently on the paintings’ surfaces, serving to further subvert these images and their reductive sensibility. 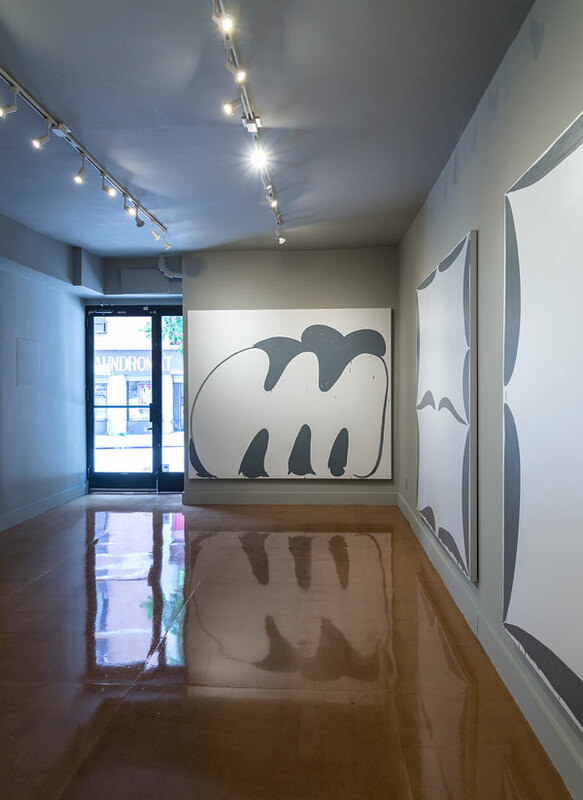 mind already knows, even if they aren’t easily nameable….Feldman uses gray to intensify the effect of her paintings, to make sure that the viewer misses nothing, not a single drip, not a single slathered brushstroke, not a single positive/negative reversal. This keenly focused palette is one more thing that makes these paintings burn themselves straight into your memory”. Feldman’s paintings are known for their powerful display of form, deceptively simple yet impactful language and their juxtaposition of immediacy and resonance. Feldman makes pictures that are fully aware of the history of painting, but break free into uncharted territory: they undermine the logic of their monumentality. 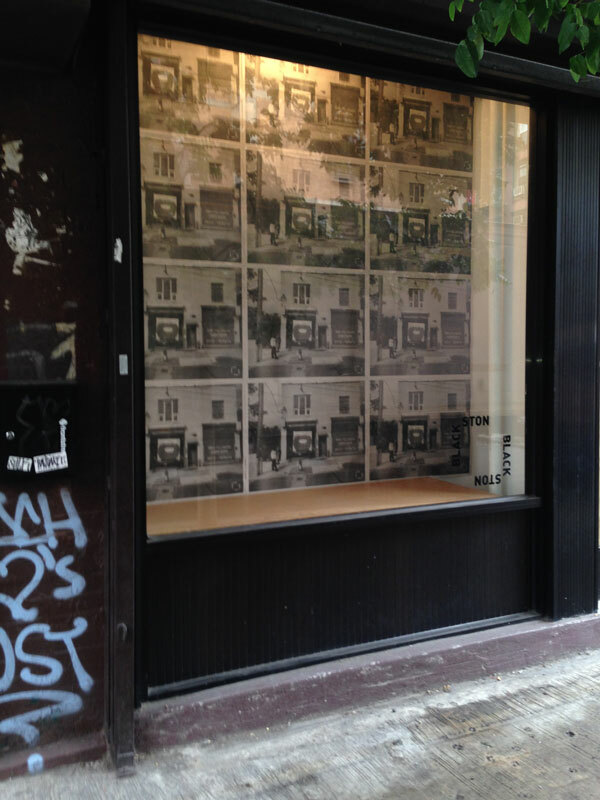 In her distinct approach, Feldman shows her full command of how images and forms are perceived and distilled.